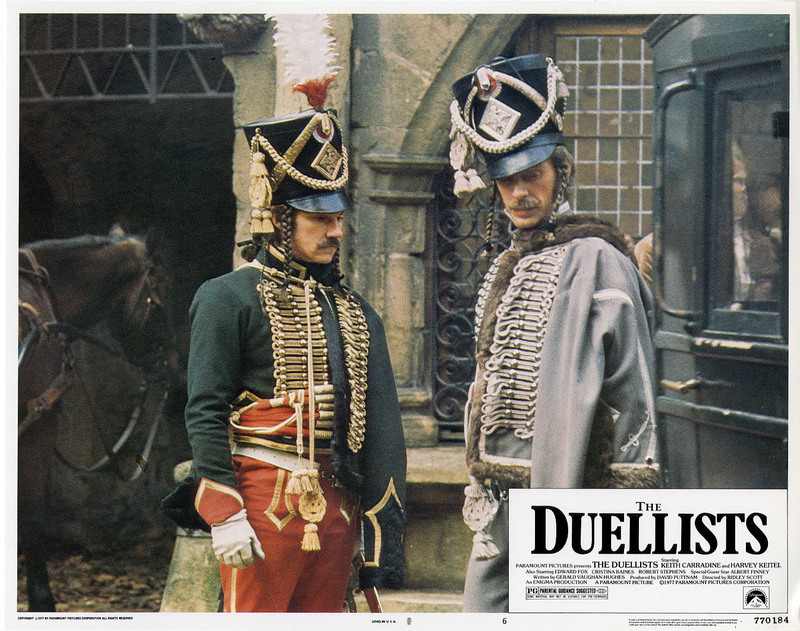 One of the more bizarre sequences of events during the Revolutionary and Napoleonic periods was the protracted series of duels fought between two officers, Fournier and Dupont, spanning 19 years; the inspiration for Joseph Conrad’s novel, The Duel, and subsequently Ridley Scott’s 1977 film, The Duellists (below). It all started in 1794, with offense taken by Fournier to an innocuous message delivered to him by Dupont at the orders of their general. By that time Fournier was already notorious as an inveterate duellist apparently relishing the opportunity for death within the unimpeachable “rules” of the duel. When he called out Dupont and his challenge was accepted it set in train a sequence of duels between the men that would stretch to 1813. 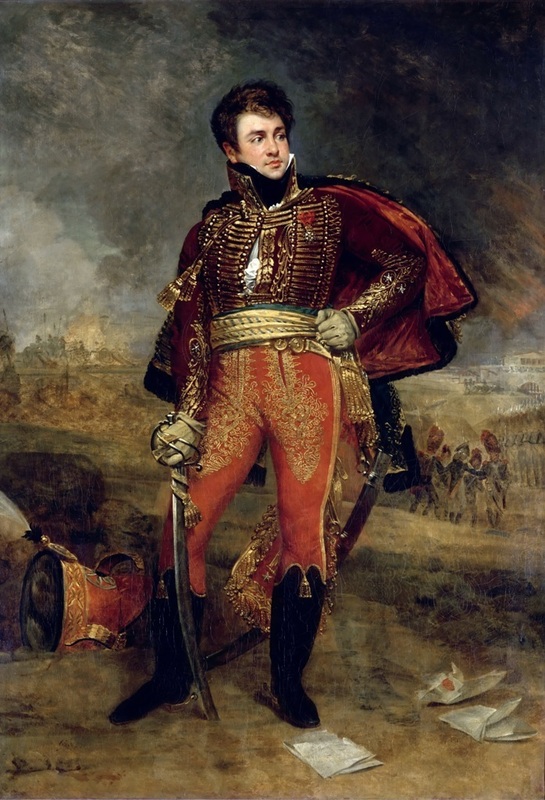 Fournier (below), on whom I based the character Boulancy in my first novel, Bitter Glory, had an erratic military career, at one extreme garnering plaudits for his fearless demeanour on the battlefield, but at the other bordering on disgrace for his behaviour off it. On more than one occasion it was only the protection of his friend Lasalles, that paramour of hussar leaders, which saved him from ignominy. Yet his valour in battle was undeniable as illustrated by his impeccable leadership of the 12th Hussars during the Marengo campaign. His personality seems equally a bundle of contradictions, on the one hand open and generous, but a merciless killer bordering on psychotic. As often as MM. Dupont and Fournier find themselves within thirty leagues of each other, they shall meet half-way between, for a duel with swords. If either of the combatants finds himself restrained by the exigencies of the service, the other shall make the entire journey, in order to effect a meeting. No excuse, except such as may grow out of the exigencies of military duty, shall be admissible. 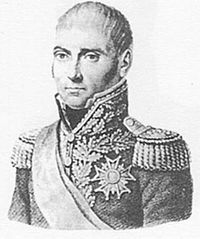 They also exchanged correspondence, with Fournier once congratulating Dupont on his promotion so that they were once again of the same rank and could continue their duels. After all, it was not honourable to fight someone of a lower rank! The duels came to an end in 1813 when a duel with pistols was arranged in a walled copse. Dupont managed to entice Fournier into shooting precipitately, wasting his shots. No mean feat as Fournier was a crack shot who reputedly used to amuse himself and his comrades by shooting the pipes out of soldiers’ mouths. With no shots left Fournier coolly left his cover and prepared himself for death but Dupont declared that he had Fournier’s life in his hands and the next time they met he would have two free shots. Whereupon he left and duels were ended. Not conclusive, but perhaps cause for doubt.